There are plenty of misconceptions in the influencer and content marketing space; speculation and myths seem to run rampant throughout the industry. We generally try and steer clear of the Overly Dramatic Cautionary Tale tone when it comes to sharing advice about strategy, but in this case, we’ve framed some tips within the context of what brands and agencies should be avoiding. For one thing, don’t prioritize follower count over engagement. Yes, follower counts matter and no marketer would turn down the chance to work with a Kardashian-level influencer, but the real magic is in the engagement rate. Comments, shares, likes, and so on are where you can see how responsive an influencer’s audience is to their content, which can help determine ROI and establish a benchmark for success. 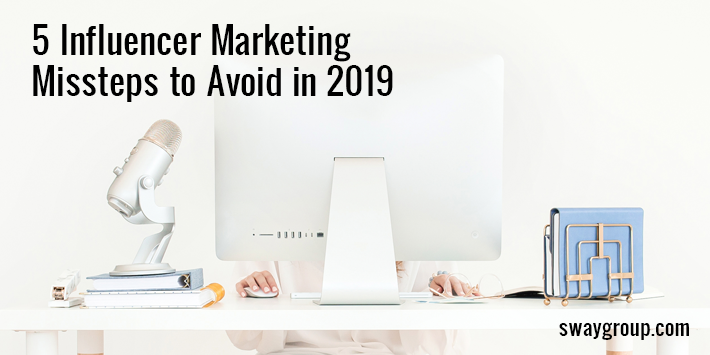 To get the inside scoop on other common tactical errors — like ignoring Instagram’s “Link in Profile” feature, pooh-poohing Facebook advertising, and assuming influencer video content is too expensive, check out our latest Forbes article here.